Hey! My name is Jane Mitchell, and I'm a senior Health Science/Pre-Med student from Walnut Creek, CA. As you may know, December 1 is recognized as World AIDS day. 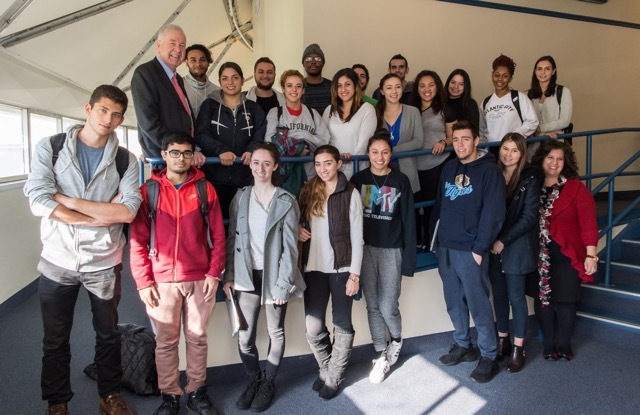 To spread awareness on Hofstra’s campus, my healthcare reform class welcomed New York’s Senator Kemp Hannon as a guest lecturer. Senator Kemp is on the frontline of healthcare policy and reform for New York. During his visit, Hannon spoke about difficulties in healthcare reform and New York’s current innovations and programs. In addition, he spoke about the changing political field within our country. It was interesting to hear a Senator speak about how everyday bipartisan work is done for reforms that will benefit the people in our communities. 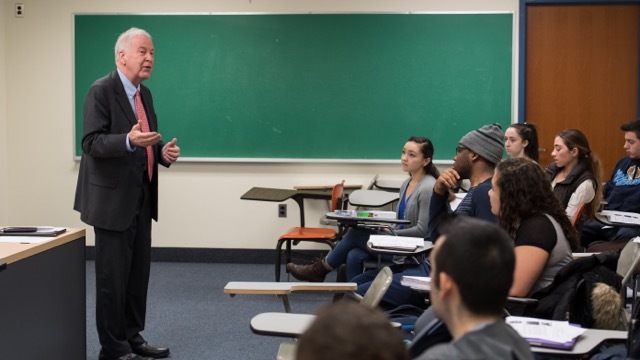 He answered every question the class had, including mine about his team’s next steps in healthcare policy. I appreciated his professional opinion regarding ideas of both local and national healthcare policy think tanks. Having a current healthcare policymaker discussing the future of healthcare policy was definitely a highlight of my semester!